Earlier this month we brought word that the Sony PS4 had passed a million sales within the first 24 hours and a week later, Microsoft's Xbox One has repeated the feat. Microsoft says the Xbox One that its launch in 13 countries around the world had also yielded over a million in less than 24 hours. 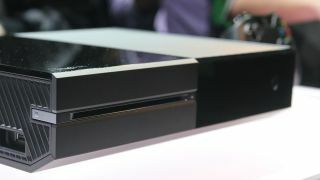 That beats the Xbox 360's day-one tally and sets a new mark for Microsoft's gaming consoles. The device is now sold out at most retailers, after midnight launches in the various territories around the world. For what it's worth, the Soy PS4 hit the million sales landmark on day one from North American sales alone, after launching on November 15, The console won't begin its roll-out in Europe and Australia until November 29. However, as we don't have official sales figures to hand, it's difficult to judge if either side has enjoyed a better day one than the other. It seems pretty certain both would have sold a lot more had more stock been available. Microsoft said it was working hard to create more consoles to fulfil the demand for Christmas. Yusuf Mehdi, Corporate Vice President of Marketing and Strategy, Xbox said: "We are working hard to create more Xbox One consoles and look forward to fulfilling holiday gift wishes this season." Some Xbox One early adopters are reporting problems with their consoles. Is yours behaving itself?